Are you someone who has nagging conversations with yourself about food?! You know the one… I know I should be eating a spinach salad but all I want is cheese and bread, with a little chocolate on the side. Sometimes when our lives are spiralling out of control or we have too much on our plate we just don’t make time to eat healthy and to give ourselves the fuel we need to make it through the day. I think we all know what is good for us and how to truly eat healthy, yet we choose the easier path of getting takeout, throwing a pizza in the oven or skipping meals. I am on a quest this week (and well, always) to ‘start my health kick’. (My friends and family have heard this from me a thousand times). The fact that I have a hard time eating perfectly healthy every single day shows that I am in fact human and I should stop putting guilt on myself. However, I SHOULD BE eating healthy more often than not. This includes more green vegetables, lean meats and less cookies with my tea! 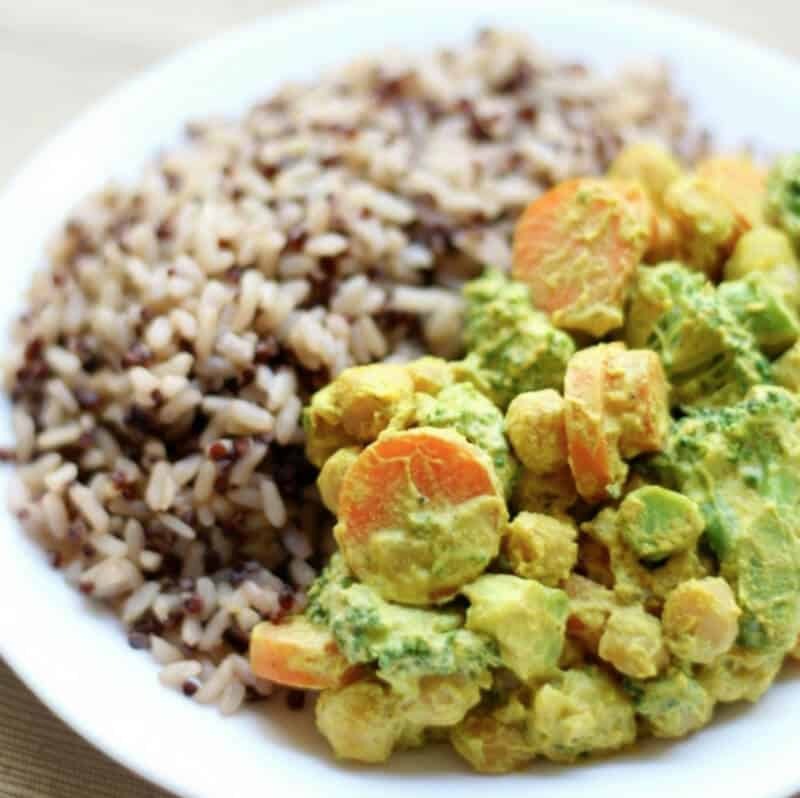 Light, refreshing and super easy to make, this chickpea curry can go alongside premade rice if you’re in a hurry or homemade brown rice, which is great to make ahead of time (in a big batch) on the weekend. This is HEALTHY comfort food and is perfect for those nights that you have no idea what to make for dinner. Pair it with a green salad and voila, dinner! This earthy, nutty and fragrant dish is perfect as a side alongside fish or chicken. You could even add a little feta or goat cheese with it for a light lunch. 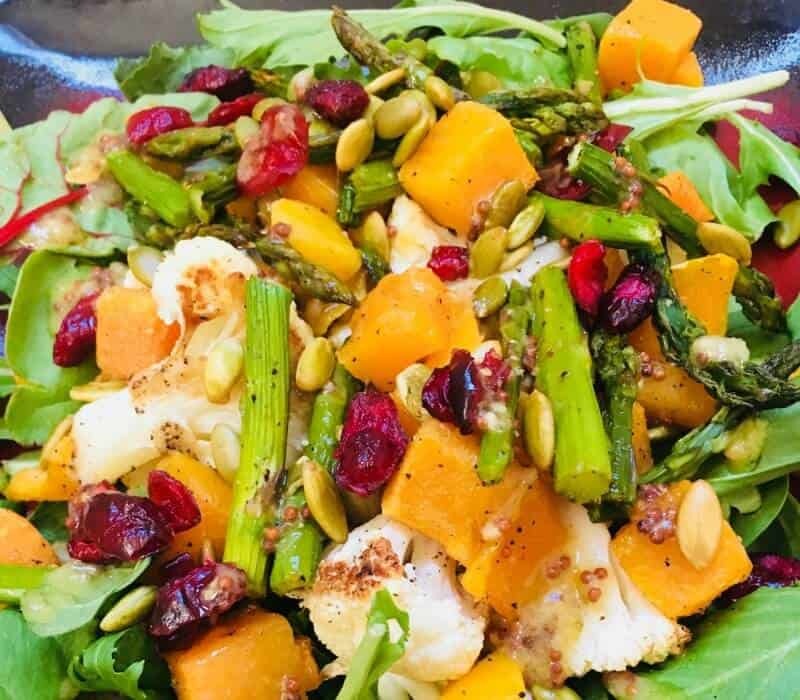 Delicious warm or cold this roasted veg salad comes to life with the apple cider vinegar dressing. It’s great as a main course or side dish and the perfect comfort food bursting with flavour! Made with soy yoghurt, this is a dairy-free, whole 30 recipe. You can of course also use 2% plain yoghurt or Greek yoghurt in the mixture. The addition of the grapes in this recipe makes it really refreshing and it’s perfect in a lettuce wrap, which is ideal if you are on a lower carb diet. 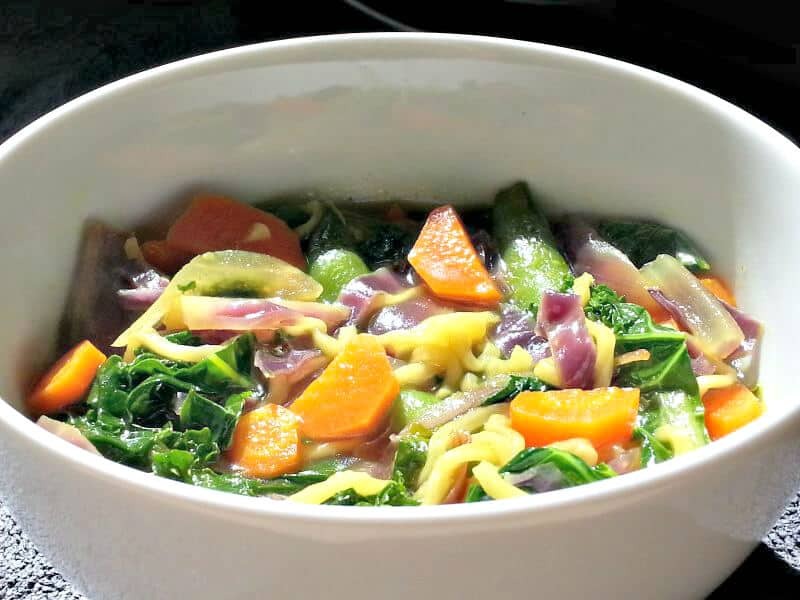 This low sodium, extra veg, curry flavoured ramen is a great lunch or dinner and it’s QUICK to make 🙂 If you’d like to make it even healthier give soba noodles a try which are made of buckwheat flour. 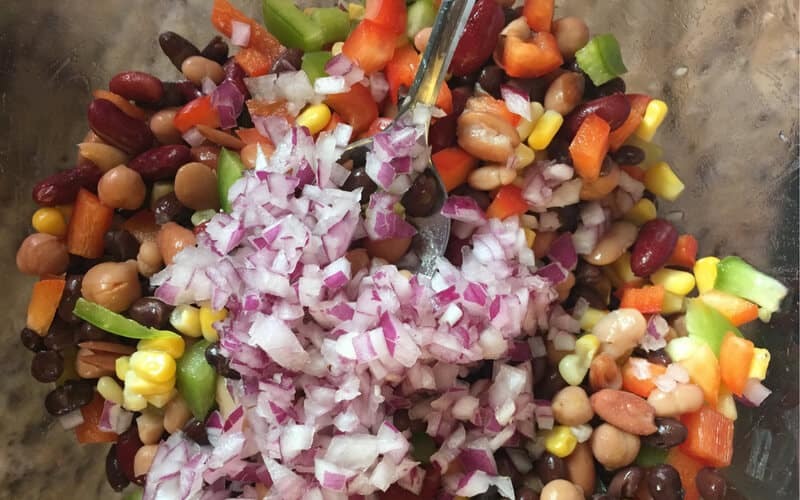 This recipe is mine and it’s my go-to for BBQ’s, as a topper for a green salad and to keep in the fridge in small containers to grab as a snack. It tastes best if you make the day before eating to really let the flavours combine. I had to include this as there is nothing better than eating loads of greens. To make this recipe a little healthier swap the butter for olive oil or avocado oil. I also like to add a poached egg on top and it makes a well rounded and filling breakfast or lunch. Sooo good! …and for those with a sweet tooth, give these recipes a try. Another recipe of mine. I started making this when I was about 10 years old! You could say that it’s a favourite of mine. Made with whole wheat flour this muffin is moist, delicious and full of fibre. I like to freeze healthy muffins and grab one on my way out the door. They defrost quickly. You may think you’re cheating with this chocolate treat, but no! Blended avocados with cacao powder and just a few other ingredients, this is simply perfect and good for you. 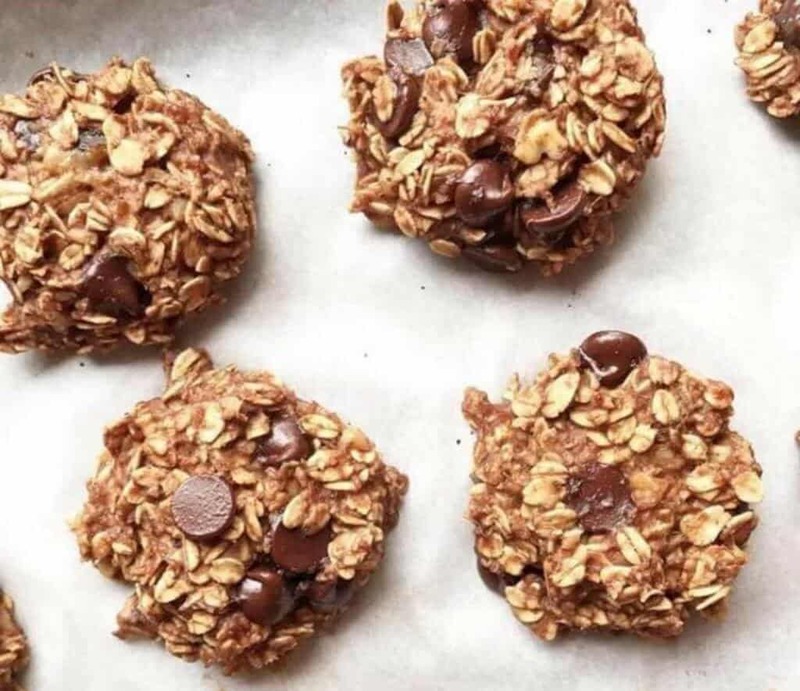 Who doesn’t love a no-bake recipe?! Filled with whole grains, seeds and nuts this is a real treat but also good for you. Make a big batch and freeze to enjoy later. There you have it… 12 gorgeous recipes that give you comfort, flavours, heartiness and so much more. Anyone else want to join in on eating healthy with me this week? Tell me in the comments below… what stops you from eating healthy? What do you think is the toughest part about sticking with a healthy eating plan? What a great roundup! I need to a kickstart back into healthy eating and this should help. 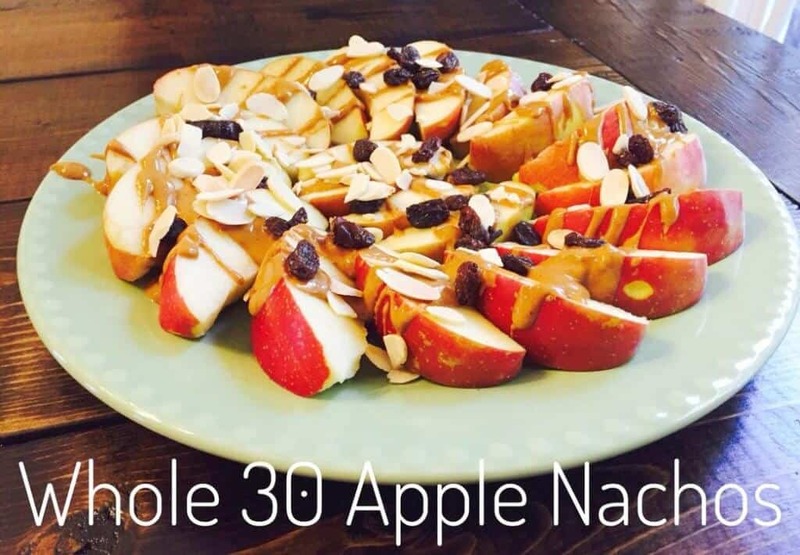 Thanks so much for including my Apple Nachos! Thanks Heather! I hear you 🙂 Happy to include your recipe – it’s delicious!! When my schedule gets super busy it’s so easy to fall off track with my healthy eating! I try to prepare for this by doing some light meal prep on Sundays and always keeping easy snacks (like apples and cheese) in my fridge. When things are really crazy I’ll combine a couple snacks together and call it dinner! 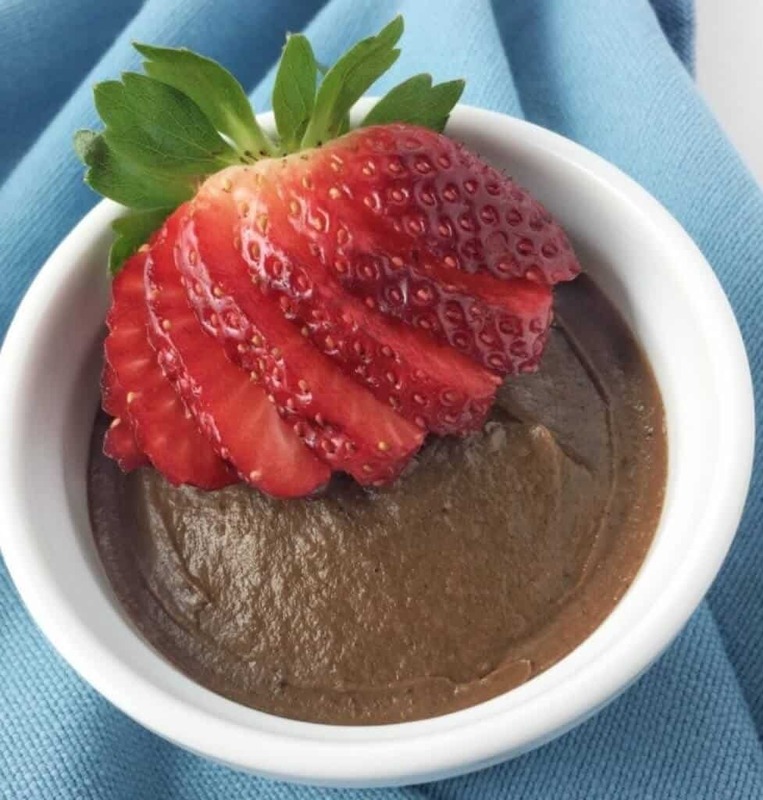 😜 Thanks for including my chocolate avocado pudding in the round up, it’s one of my fav treats! Ive heard about the avocado chocolate pudding and I’ve been so scared to try it! Is it really that good? Does it taste different? I’ll have to try some of these recipes! They look great! Omg girl these look so good! Especially the idea of using sweet potatoes as like healthy little bowls. I’ve been trying a more plant-based diet for the last few weeks and I’m really liking it so far. Chicken salad and apple nachos look like a good meal combo to me. Lots of yummy goodness included here! So, the DECADENT CHOCOLATE AVOCADO PUDDING … WOW!!! I can’t wait to give that a try! It looks absolutely delicious! What a lovely list of healthy meals! I have my eye on that ramen soup! 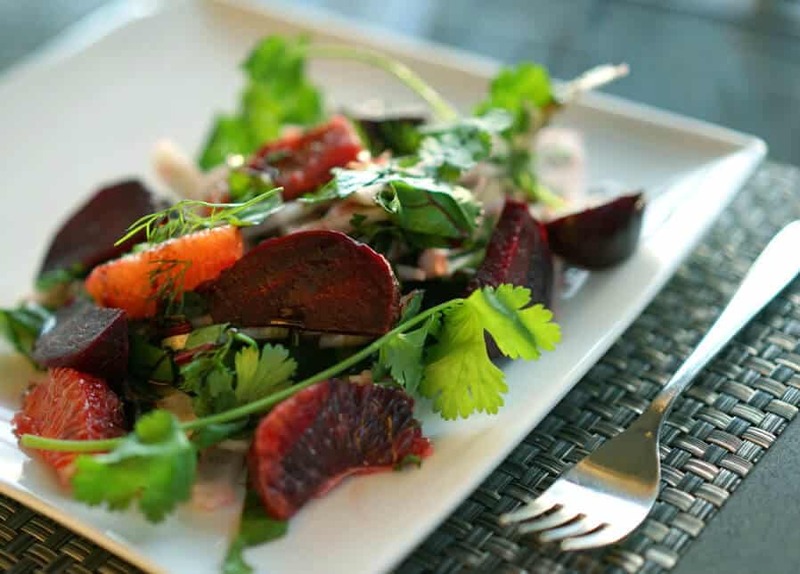 The Citrus Beet Salad is calling my name! Thanks for sharing! I can’t wait to try it! Thank you for making this list! Everything looks so yummy! Some really good savoury treats here to try. 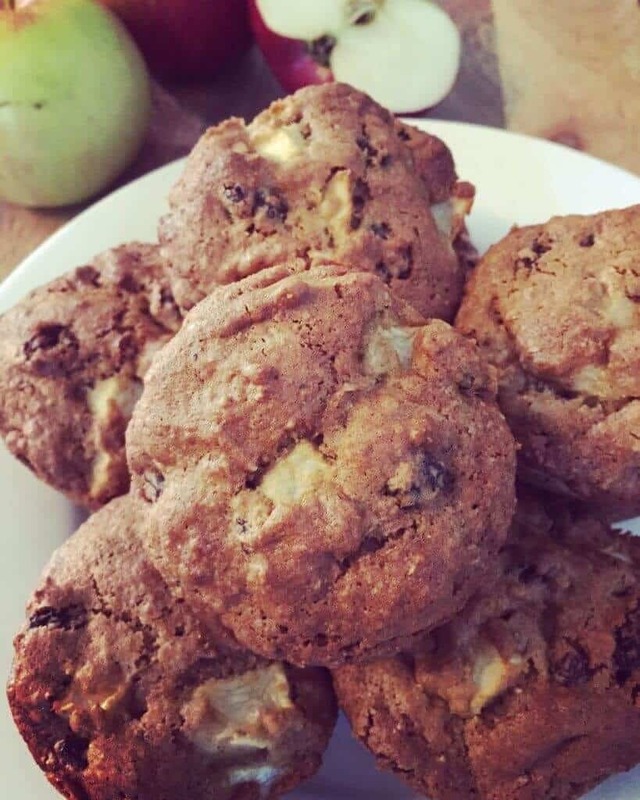 Love the apple muffins and the avocado pudding! Yum! Can’t wait to try all of these! Thanks for including my salad. Yum these all sound good especially the sloppy joe sweet potatoes! Oh my gosh, I don’t know which one I am going to try first, the muffins, the bean salad or the chicken salad. They all sounds so good! I also need to start thinking more what I eat and choose more healthy food 🙂 Great roundup! Oh my! These ALL looks amazing! I can’t wait to try some! Thank you for sharing! Oh, these look delicious! I’ll definitely have to try some of these. Thanks for sharing! Great post as always, Yolanda! Hi Paula! Thank you so much. I hear you – it’s SO hard to meal plan when you are busy – I get hangry too lol. And hey – happy belated!! I hope you had a great day 🙂 I’m eager to hear how the Instapot goes. I’ve had my eye on one for a while now too. Wow – really?! That’s impressive!!! So honored to be part of this list. Where do I begin though?!!! 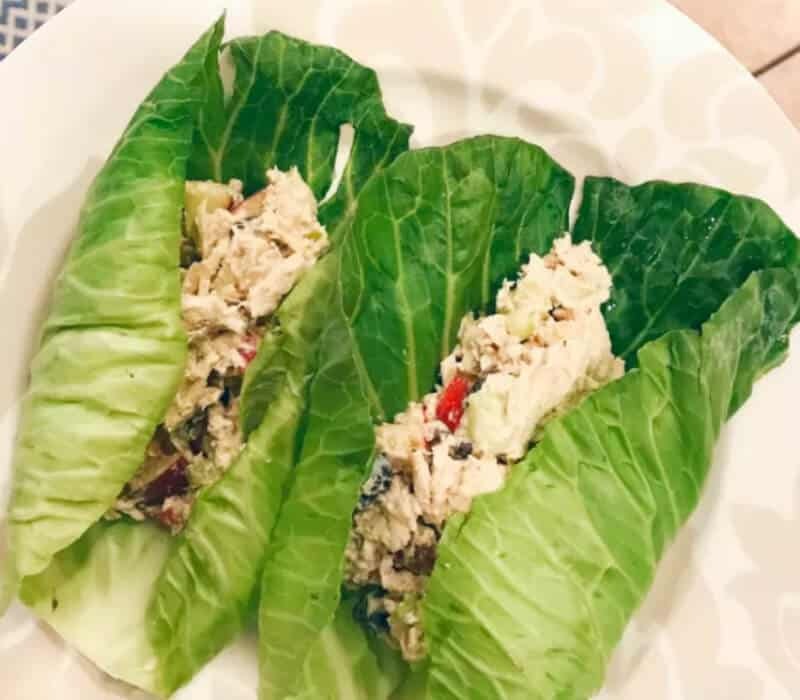 Healthy chicken salad on lettuce wraps is a great idea, I will be trying that for sure! Thanks for sharing! 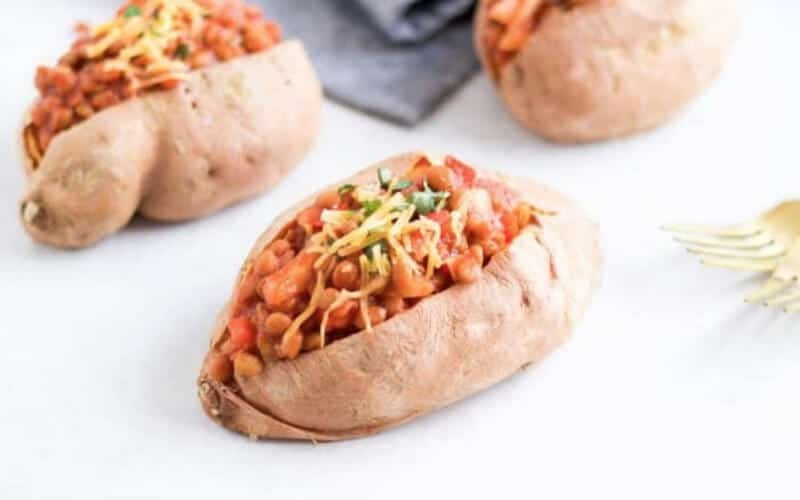 Stuffed sweet potatoes are my go to lately! I cannot wait to try all of these recipes tho! 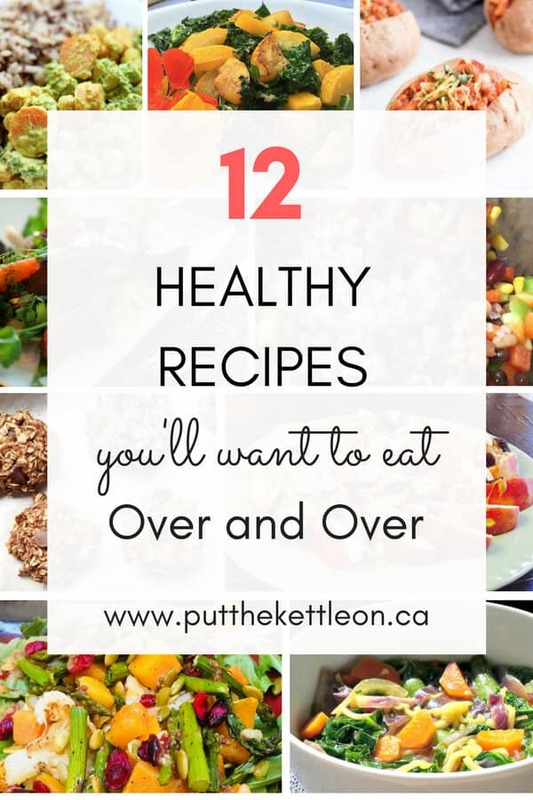 They look delicious, and healthy delicious recipes are my favorite! thanks for sharing so much goodness! Thank you for including me in this roundup! 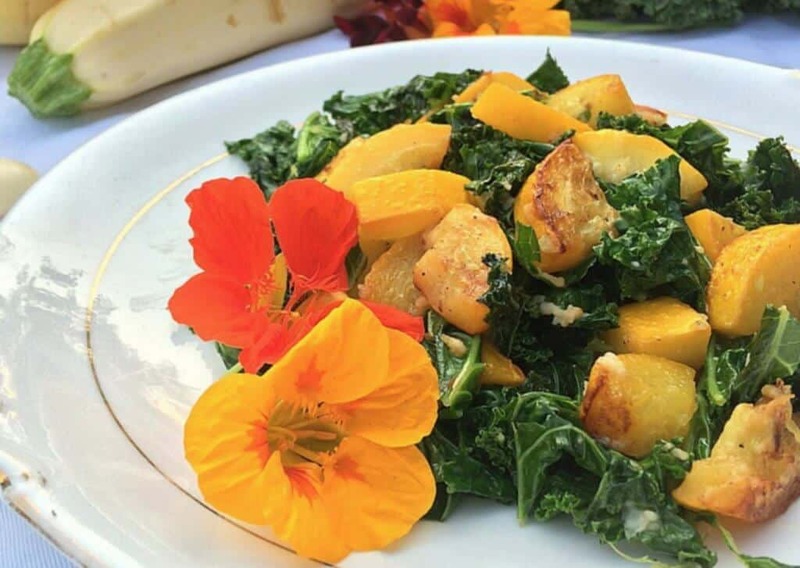 Everything looks delicious – can’t wait to try some of these ideas!